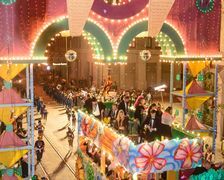 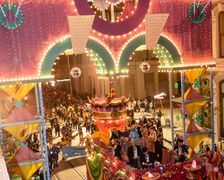 Ball goers enjoy amazing floats, catching beads and marching bands as they pass under the Mardi Gras Arch in front of The Tremont House during Mardi Gras. 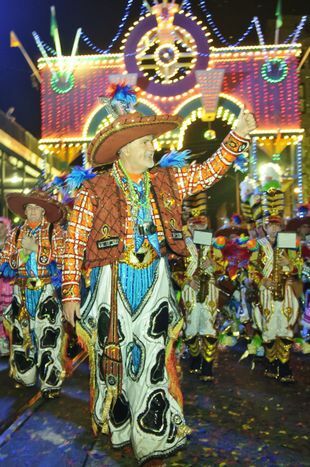 Royalty of the Knights of Momus are always the highlight of the parade as it passes in front of The Tremont House. 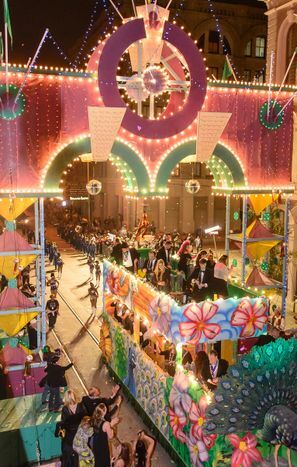 Tremont guests enjoy viewing of the Knights of Momus Grand Night Parade as it passes in front of The Tremont House. 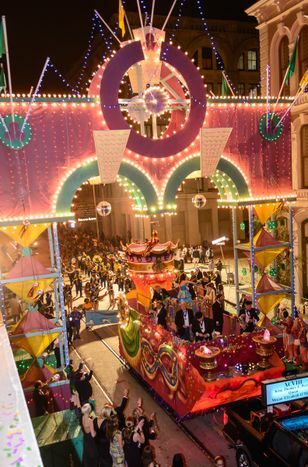 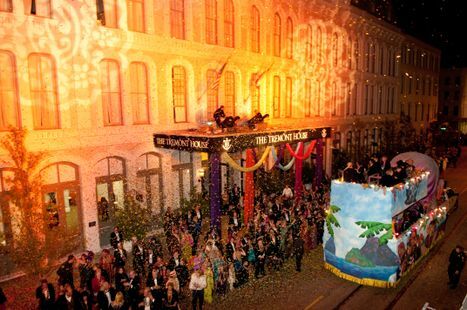 The Tremont House Mardi Gras Ball offers a premier view of the Momus Grand Night Parade. 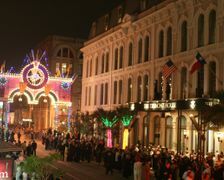 Ball goers enjoy an VIP viewing area for the parade. 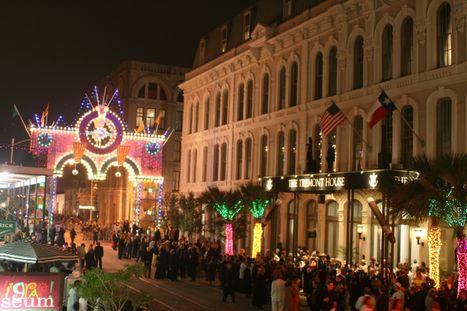 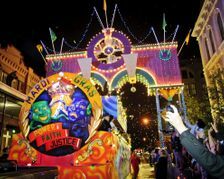 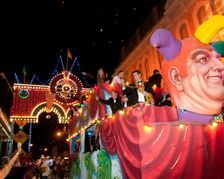 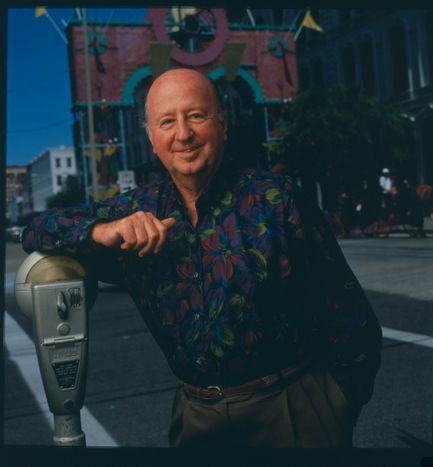 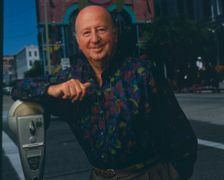 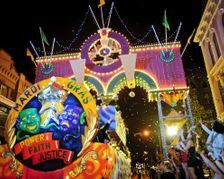 The late George Mitchell and his wife Cynthia had a pivotal role in resurrecting Mardi Gras in Galveston. 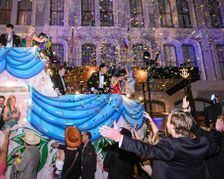 The first Tremont House Ball was held in 1985 in conjunction with the revival of Mardi Gras and the opening of the hotel. 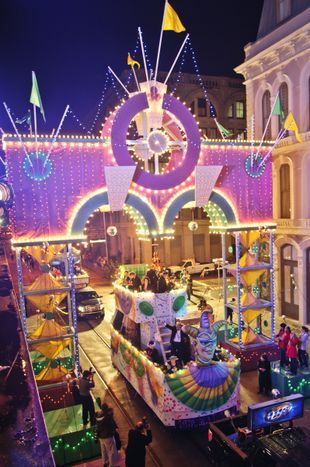 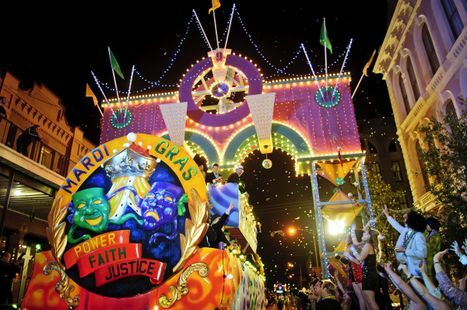 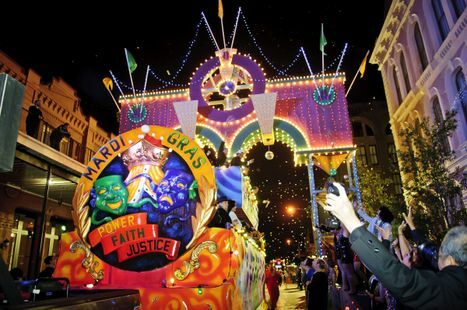 Numerous Mardi Gras parades and processions pass directly in front of The Tremont House during the carnival season. 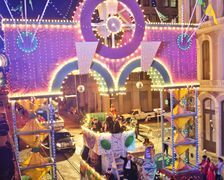 The Tremont House offers live music over the weekend as well as premier viewing of the Momus Grand Night Parade. 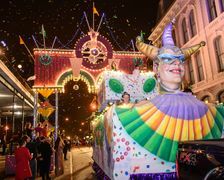 Tremont House Mardi Gras guests enjoy the Momus Grand Night Parade as it passes in front of the hotel. 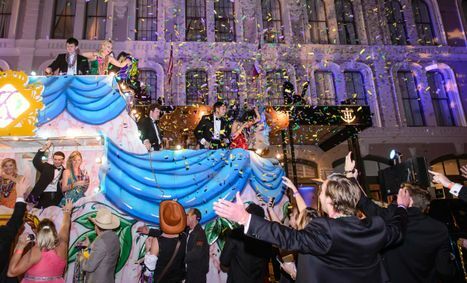 Guests at The Tremont House enjoy prime viewing of the Momus Grand Night Parade as it passes in front of the hotel. 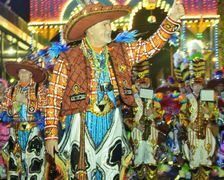 The Philadelphia Mummers typically make an annual appearance in the Momus Grand Night Parade which passes directly in front of The Tremont House during Mardi Gras. 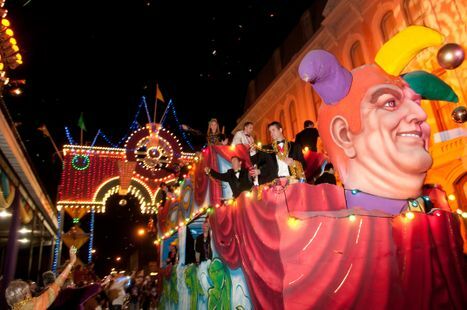 Floats, marching bands and more pass in front of The Tremont House during its annual Mardi Gras Ball. 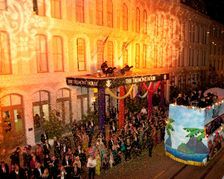 Guests at The Tremont House enjoy begging for beads as the Momus Grand Night Parade passes.